Our special rainbow, Ida Loutrelle “Trelle” Baird Wade, 86, passed away February 1, 2019 following an extended illness. Trelle was born July 8, 1932 in Commerce, Georgia. The brightness of her colors will remain alive in our memories. She was a joy, as a general rule, but she could be quite obstinate at times, especially if all the chores were not being done. Never a procrastinator, she urged all to do whatever had to be done immediately—no ifs, no ands, and no buts. “Do not put off until tomorrow what can and will be done today” was her mantra. Trelle maintained a deep interest in the Civil War and spent much time reading about the war and travelling to the places where some of the major battles were fought. She had a vast collection of books regarding the war and biographies of many of the officers. Many of her books were first editions. She was especially interested in General Robert E. Lee from the Civil War and George Washington from the Revolutionary War. Trelle lived in Panama City Beach, Florida for twenty years and was a member of the Civil War Roundtable Discussion Group. To broaden her knowledge of the war, she took several classes at Gulf Coast College in Panama City. Living in Chamblee prior to the husband’s, Russell P. Wade, death, they were members of the Berkley Hills Golf Club. She served as president of the Berkley Hills Women’s Group, and it was at the golf course there where she got her first “hole-in-one”. Needless to say, she was quite proud of her achievement and went on to become an avid golfer. As a descendant of the Scottish Clan Baird, she received her membership in the Clan her Tartan Plaid. Growing up she would never go near a horse, never learned to ride a bicycle and never learned to swim. However; Trelle had a Pilot’s license and would fly their private airplane solo and drive the Oldsmobile convertible 90 miles an hour. 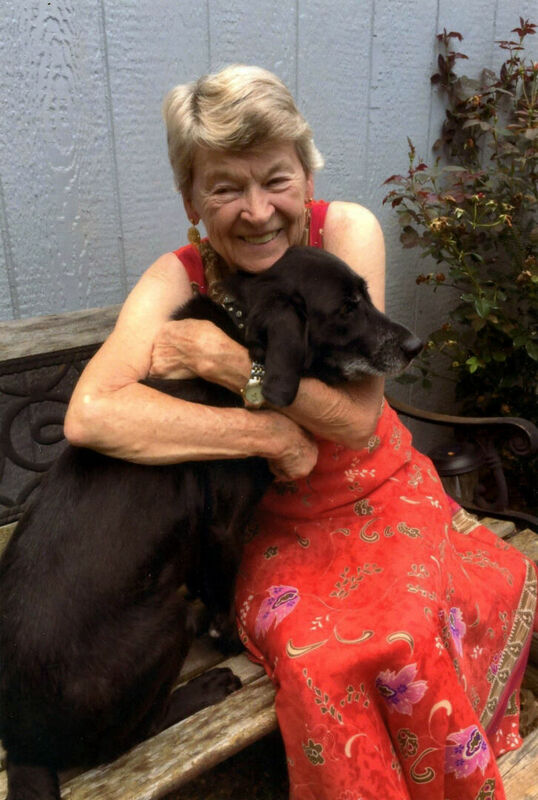 Trelle was a member of Grace Presbyterian Church in Dawsonville which she loved attending and associating with the other members which she also truly loved. She attended church until the time her health declined. 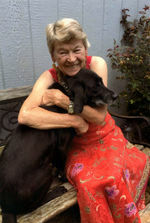 Her dog “Dooley” came into Trelle’s life in August 2012. He was 6 weeks old and won her heart from the moment she first saw him. A tiny little bundle of fur from a rescue shelter, he has grown into a 60 plus pound of loveable black Labrador. With Trelle, Dooley could do no wrong and they thrived together, loving each other. Dooley knew Trelle was his, totally and completely. For the first time in her life, she allowed her dog to share her bed!! She did this even after she became ill.
Trelle is survived by a daughter, Shelby Lee, and her sons Arthur, Rusty, and Joey; a son, Tim Wade and his son Ryan; and a sister, Peggy Rambo. Seven great grandchildren and a great great grandson also survive. At her request, Trelle was cremated and her urn will be placed beside her husband in a crypt in Arlington Memorial Park. A memorial service is planned for Friday February 15, 2019 at 4:00 p.m. at Grace Presbyterian Church. Rev. David Jordan will officiate.